What better way to learn spelling or counting than through an enjoyable good-natured race? 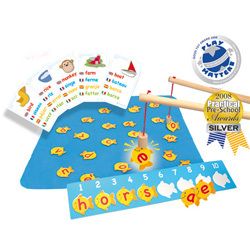 With the Fish N Count and Fish N Spell games, children are encouraged to develop their counting or spelling skills in a race against the other player. 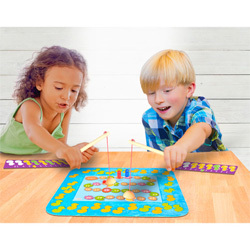 These are fun games with educational messages at heart, and are perfect for developing important skills, and the confidence to use those skills.